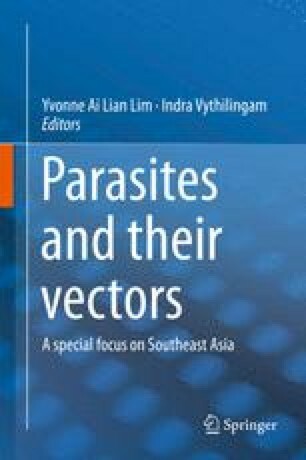 Plasmodium knowlesi is an emerging malaria parasite in humans and is unique to Southeast Asia. Since most countries in Southeast Asia are working towards elimination of malaria, it is important to have knowledge on this emerging simian malaria parasite affecting humans. The first case of simian malaria was reported in Malaysia in 1965. At that time extensive work conducted did not reveal other simian malaria cases in humans. However, in 2004, a large focus of P. knowlesi was reported from Sarawak, Malaysian Borneo and that led to many studies and cases being reported from most countries in Southeast Asia. In this chapter, the history, epidemiology, diagnosis, vectors and role of simian host are discussed. Malaria is now a zoonosis and the challenges facing the countries of Southeast in tackling the knowlesi malaria situation and the way forward have been documented.